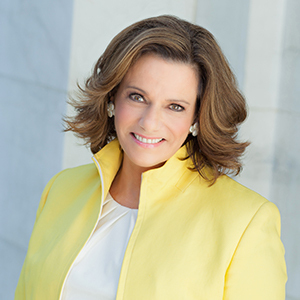 With more than four decades on the forefront of global politics and national security, Kathleen Troia “KT” McFarland has firmly established herself as an expert on critical national security issues facing the U.S. As FOX News’ National Security Analyst, McFarland appears regularly on FOX News and FOX Business News and also writes a regular column for FOXnews.com. The former U.S. Senate candidate is also recognized as a leading advocate for a new era of economic revival in America and often sought-out for her insight on the importance of developing domestic resources, innovation, entrepreneurship and establishing the U.S. as a global energy leader. Previously, McFarland held national security posts in the Nixon, Ford and Reagan Administrations, including serving as an aide to Dr. Henry Kissinger on the NSC Staff and as senior speechwriter to Secretary of Defense Caspar Weinberger. In 1985, she received the Defense Department’s highest civilian award for her work in the Reagan Administration. A recipient of graduate fellowships from the Ford Foundation, Institute for the Study of World Politics, and the Arms Control and Disarmament Agency, she is also a board member of The Jamestown Foundation, a Distinguished Advisor to the Foundation for Defense of Democracies, and a life member of the Council on Foreign Relations. With a finger on the pulse of national, global and economic issues, McFarland captivates audiences with valuable insight on critical issues facing the U.S., including cyber war and nuclear proliferation, and insider perspective on the importance of American ingenuity and entrepreneurialism to an economic revival.